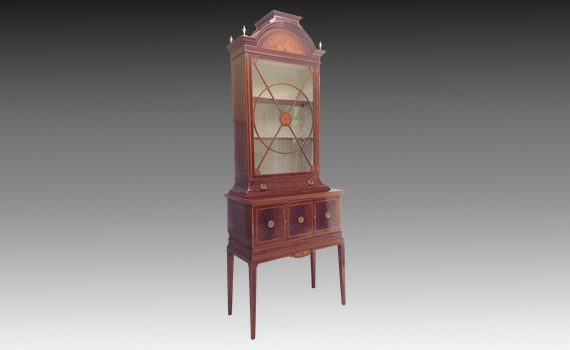 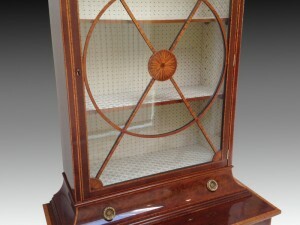 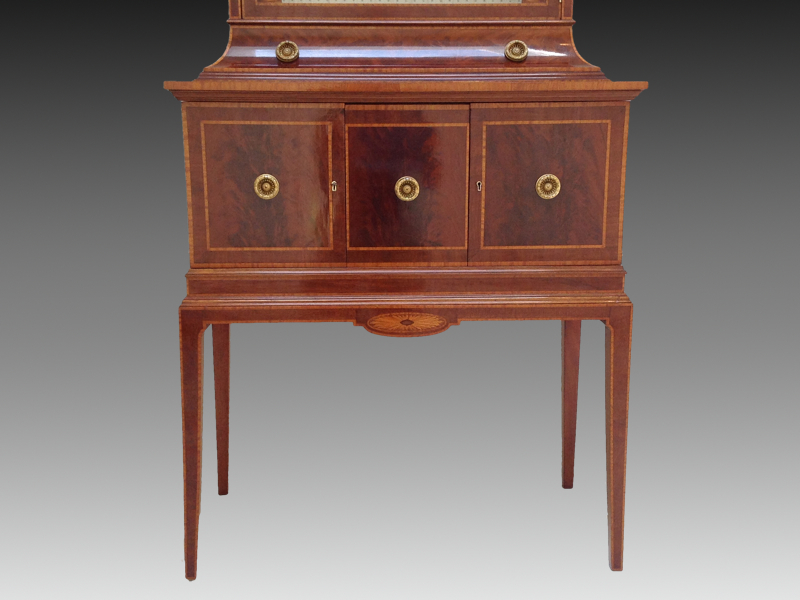 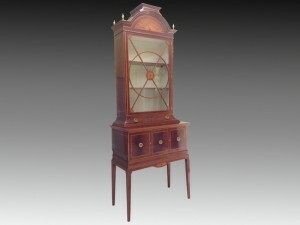 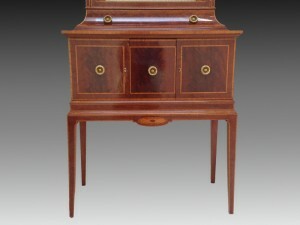 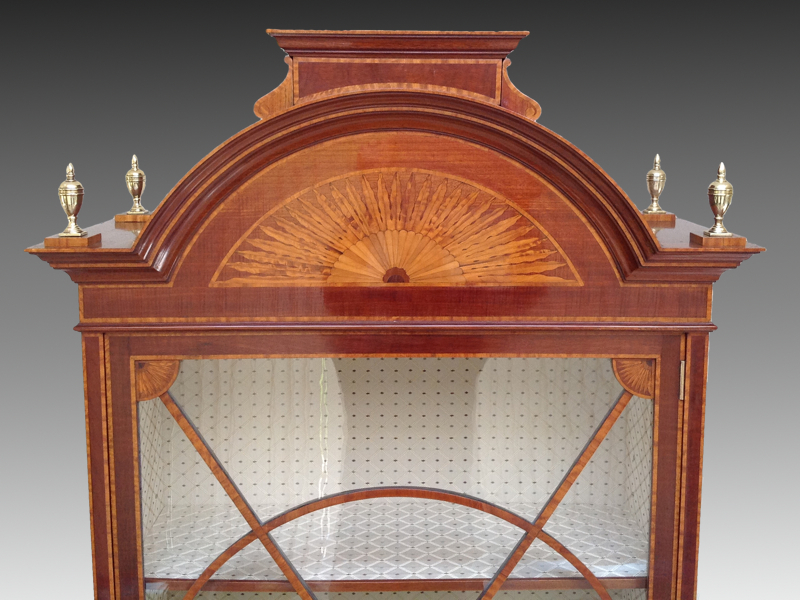 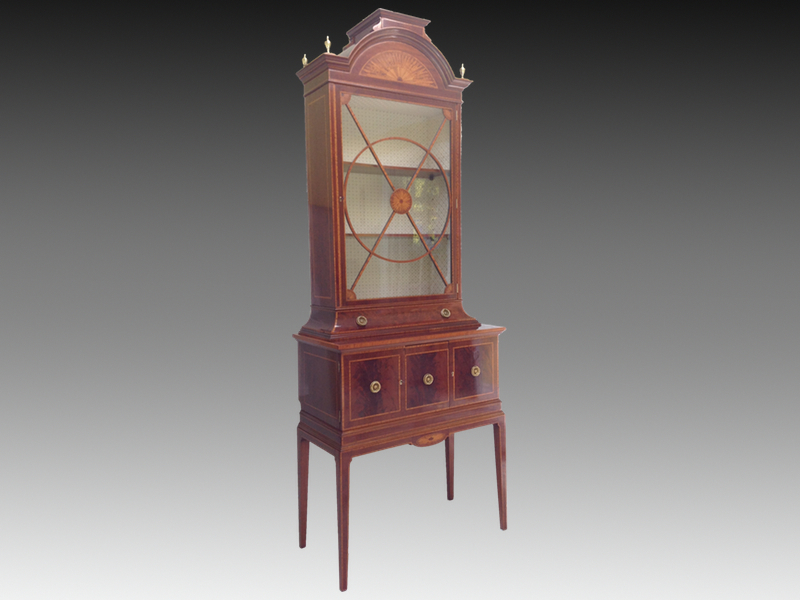 An unusual Edwardian mahogany and satinwood crossbanded display cabinet. 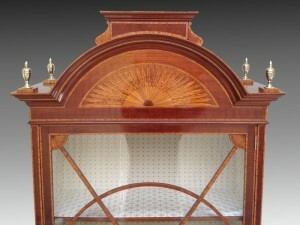 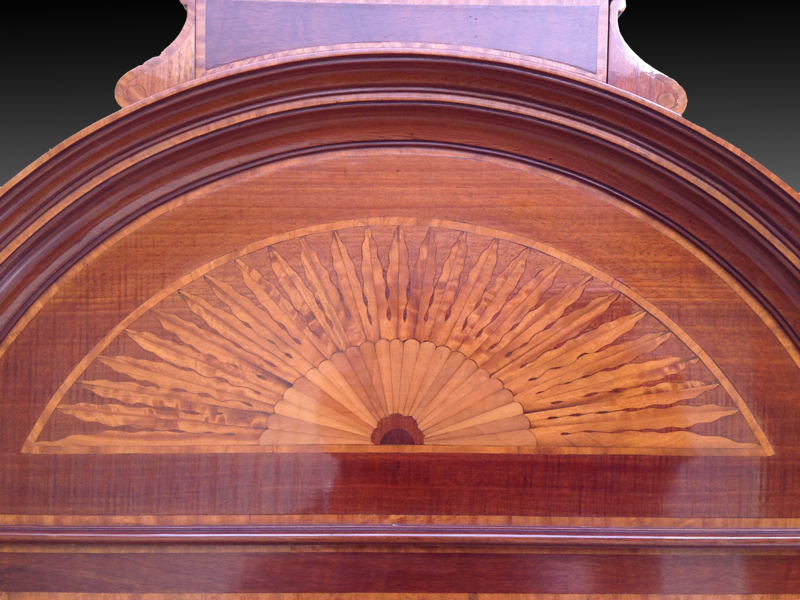 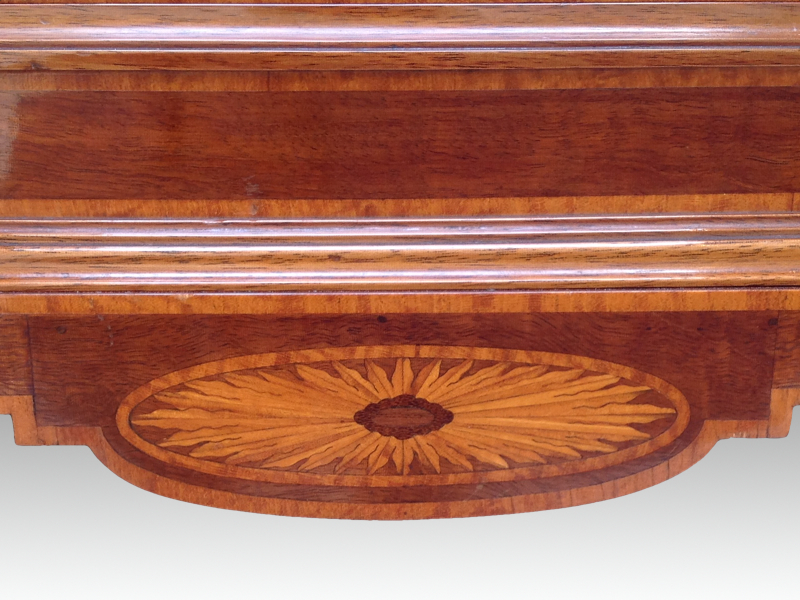 The arched top inlaid with starburst, a platform pediment above flanked by four turned brass finials, and a single astragal glazed door below enclosing a relined shelved interior with a single concave frieze drawer below. 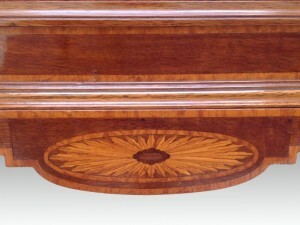 The rectangular base with a central deep drawer, flanked by a pair of cupboards, and standing on square section tapering legs.